From Puno we travelled all to the way up north to Cuzco to start a new adventure and hike the Inca trail to Machu Picchu through the Andes Mountain Range. There are several trails to follow on your Camino Inca or Inka Trail but only the true travellers go for the three day Mollepata hike so of course that's the Inca trail we should have gone for. The Inca trail to Machu Picchu is almost too popular and the Peruvian government actually has put a limit to the number of hikers that is allowed to complete the trekking per season due to a problem of erosion. 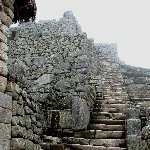 The Inca trail is not just called that way but most parts of the itinerary was constructed by the ancient Inca's creating a path that lies there still today. The 82 or 88 km trails can be hiked in about three to four days considering the steepness of some parts of the trail and the caution that should be practised. The Inca Trail starts at the Urubamba River from where the path will take you up higher up the hills. The two different itiniraries will meet at the ancient Inca ruins of the Patallacta site which is found at an altitude of 2650 meters. After a first day of hiking we arrived at Wayllabamba, 3000 meters, where our camp was at and we could finally rest. This is also the part of the trail where the Mollepata blends in. The view from the Wayllabamba camp is pretty impressive considering the altitude. The next morning we woke up in a very cloudy Wayllabamba but our good night's rest had given enough energy to continue our steep way up. 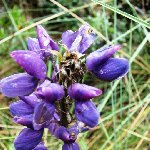 The most shocking thing about the whole trek was that the Inca trail was exhausting by itself but the guys who carried our tents and all our gear didn't even same to feel it! A lot of respect for them. At Warmiwanusca, for a strange reason known as Dead Woman's Pass, we had reached an altitude of 4215 meters and the highest point so far. Luckily the Pacaymayu camp site wasn't far below us and did we appreciate that second day dinner! The guys who carried the bags and tents were also the ones helping out the cook and I have to say it again, respect, because these guys guided us so well that without them I wouldn't have completed the trail at all. After dinner and tea we went to bed to wake up for another day of hiking to Machu Picchu. Day three of the Inca Trail brought us to the Incan Tambo of Runkuraqay, an ancient military base overlooking the Pacaymayu Valley. From here we continued to ascend untill we reached Laguna Cochapata and later on the site of Sayaqmarka more up at an altitude of 3600 meters. From here on we started entering the forest and we had to mind our steps a little bit closer. 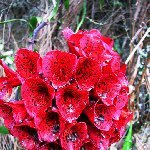 The flora and fauna on this part of the Inca trail was surreal and we spotted the most gorgeous flowers and birdlife. We even came across some giant and hairy spiders which was less exciting but part of the deal! The Ruinas Phuyupatmarka after passing the valleys of Urubamba and Aobamba were again a highlight of the trail. After the site of Phuyupatmarka we had to hike trough a long Inca tunnel and a very steep staircase downhill to reach Winaywayna, another ruin along the Inca trail to Machu Picchu with ancient houses and terraces for agricultural use. At Winaywayna our cook prepared this amazing dinner at the Winaywayna hostel and restaurant where we spend our third day. The next day, day four, we finally headed to Machu Picchu. After completing the Inca Trail, there in the clouds it was, the ancient settlement of Machu Picchu! And while a group of lama's grazed from the lush green lawns we all sat down and gazed at this beautiful place. 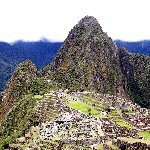 Did you enjoy Inca trail to Machu Picchu and have you been on a holiday in Machu Picchu, Peru?